Nursing students can make a difference to patient safety by raising concerns. 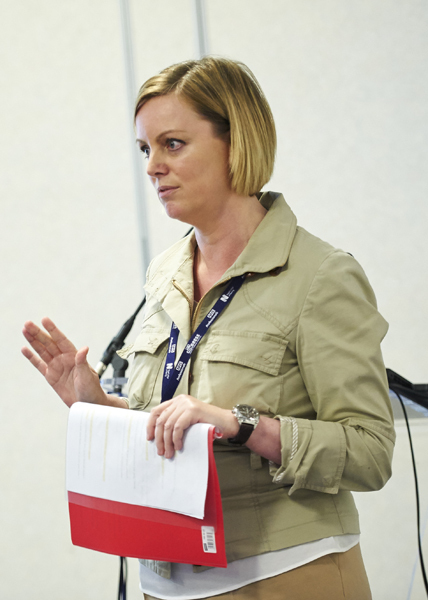 That was the message from an inspirational student whistleblower who addressed an RCNi fringe event at RCN congress on how students can be supported to raise concerns. Final year student Carol Roughley witnessed a senior nurse abusing a vulnerable patient with dementia while on her first community placement. ‘I had about two weeks left on that placement and I could have decided to stay quiet about what I saw, but I decided not to,' she said. She raised her concerns and followed them through to a Nursing and Midwifery Council hearing, which led to the nurse being suspended. She told the audience that talking through any worries they may have after they have raised a concern will help. If students feel under pressure on a placement after whistleblowing, they can also ask their university to move them to another placement, she added. Clare Atkinson is an ambassador for cultural change at Birmingham Children’s Hospital NHS Foundation Trust, a role pioneered by Mid Staffs nurse whistleblower Helene Donnelly at Staffordshire and Stoke NHS Partnership Trust. She told the meeting that it is her job to take on concerns for staff who have received a negative response after raising it with a manager. Healthcare professionals can be put off raising concerns because of the fear of being labelled a troublemaker and people warning them off. But she told students: ‘You are the next generation of nurses. You can make a difference and you have got champions like me.